We’re only a week out from Christmas. If you’re looking for last-minute presents for your “gun culture” giftees, there’s still time for Amazon…and books are among my favorite gifts to both receive and deliver. Any book you want to order, click on the book cover shown below. 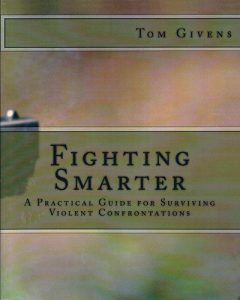 “FIGHTING SMARTER,” the updated version of “Fighting Smart” by my old friend and fellow instructor Tom Givens would be an excellent choice. and I think would be well received by any shooter on your Christmas list and particularly valuable to new shooters. Any two instructors will debate some points within their discipline, unless they’re clones of each other, but since my review copy is conspicuously marked “Advance Uncorrected Proofs,” there’s probably fewer nits I’d pick in your copy than in mine. Lots of good stuff in the Sanjog book. 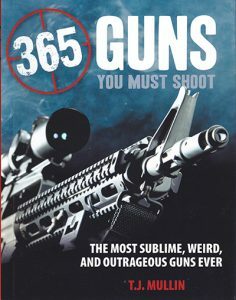 “365 Guns You Must Shoot” is written by another old friend, a scholar of the gun named Tim Mullin. 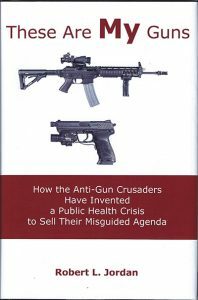 Now, if you think two specialists in the field might not agree on a few things, you KNOW they’re not going to agree on 365 things, but there was nothing in Tim’s newest book that wasn’t of interest, and he writes from extensive trigger-pulling experience as well as long research. This one is particularly good for the gun enthusiast who is into firearms in general. Feel free to offer other holiday gift suggestions for shooters, here. One of my favorite gun related books is STREET SURVIVAL by Adams, McTernan, and Remsberg. 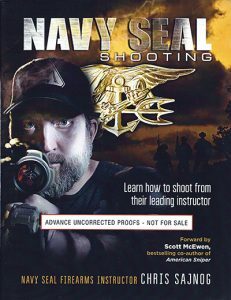 The book was written primarily for law enforcement, but everyone can benefit from it as all gun owners should think like the police and use the same tactics when dealing with dangerous situations. I got this book back in the 1980’s before joining my first police department, so was much better prepared than most of the cops I served with and shared the knowledge with them and recommended they get this book and study it. All gunowners who carry their weapons should adopt the same tactics police use as these are proven methods which will make one safer in any armed encounters with the increasing numbers of bad people. Anything written by M. Ayoob would make a wonderful gift. Buying your loved one a membership in the Armed Citizens’ Legal Defense Network would be a grand idea. In addition to the protection it affords, new members receive 8 educational DVDs and Mas’ book Deadly Force. My recommendations would be Deadly Force, by Massad Ayoob; The Law of Self Defense, by Andrew Branca; and Not An Easy Target, by Paxton Quigley. And/or a gift subscription to Combat Handguns or American Handgunner. Agree with Gerald Okins above, and would add anything, preferably everything, written by Jeff Cooper. Well, Marty – seeing as I have already taken care of my ALCDN membership (and thanks for creating and maintaining the network, Sir! ), I’m sure you would be OK if I were to invest in other areas, right? Seriously, to all those who live in a similar “arrangement” as Mas does, where guns are a very big piece of their daily puzzle, count your blessings. I am in a family situation where the only one who “knows” – is my bride – and I thank God for her! I have a growing list of books (to which I am adding your suggestions, Mas) that I fully intend to begin reading when I retire next year. Those books and all those reasonable priced, fully utile, Don-drools-over type of “gun presents” don’t exist under my tree. I am not crying, folks because I am extremely thankful for a beautiful, understanding spouse, living in the gun-friendly state of Pa., and… the greatest country in the world. Let’s all practice the philosophy of Condition Yellow and watch out for each other! Everyone – have a great Christmas!